Asteel Group of Companies operate under the umbrella of Asteel Resources Sdn Bhd as a holding company. Asteel Group is specialized in steel roofing and structures design and build, and is also focusing on downstream industry for other building and construction material. 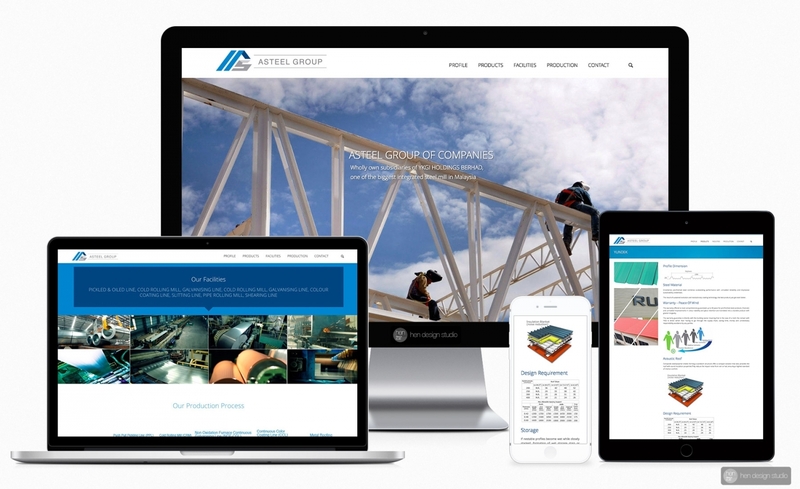 Client need a website that looks modern and easy to browse, manage, and mobile friendly. Content management system – Easily manage the page, news and content from user-friendly CMS backend. Menu, slider, gallery, picture, social network, google map, all easy to change from backend system. Friendly layout that resize and fit into any screen size. Optimised for fast loading, compatible with iPad/iPhone/Androids & tablet etc. and different kind of modern web browsers.